Relocation stops being stressful and hard after doing it hundreds of times. In case you have not moved hundreds of times, do not worry – our movers Bloomfield NJ have. They have moved so many grateful customers that with their help even the hardest move becomes smooth and stress-free. They have learned the ropes to perfection. Therefore, if you want to hire best movers NJ, give us a call. Vector movers serve the entire territory of Essex County, including Bloomfield NJ. 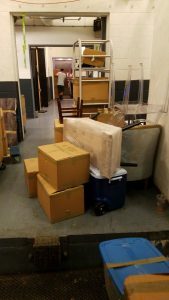 Move your belongings to Bloomfield with one of the best moving companies Bloomfield NJ has to offer. 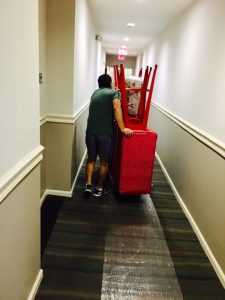 Our movers Bloomfield NJ always make sure their clients are 100% satisfied. But don’t take our word for it, visit websites such as Yelp and Better Business Bureau. You’ll see how much our clients appreciate what we do. Our gentle Bloomfield NJ movers will take absolute care of your belongings, no matter how big, small, cheap or expensive. Apart from the way they treat your belongings, avoiding any delays, especially unnecessary ones, is what separates committed professionals from the rest. Our movers know how important time is, so they always follow the schedule and do their best to be punctual. Not only do we provide maximum quality with each and every service we provide but we also respect your budget. Movers do not have to overcharge just because they are the best at what they do. Our movers Bloomfield NJ respect both your moving needs and your budget. We tend to provide precise moving estimates so that a client always knows what to expect when the receipt comes. To quickly determine how much your move is going to cost, use our free and convenient online quote estimator. Alternatively, you can get an in-home estimate from our relocation specialists. 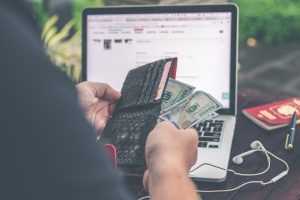 If you are still worried about the final price, ask for a binding estimate – that way there cannot be unexpected costs. Whatever changes during relocation, the price won’t change. While dishonest movers give low estimates and then charge you double or triple, we would never risk losing the trust you have put in us. Moving tools, vehicles, and packing materials are an important part of a relocation. No matter how careful and experienced the moving crew is, a move cannot be successful without the right equipment. That is why good moving companies Bloomfield NJ must work with modern, functional equipment and suitable packing supplies. Vector movers know this very well, which is why they make sure that everything is in excellent condition at all times. In addition, our NJ movers and packers use durable boxes and other supplies you can purchase at affordable prices. We are one of the most experienced moving companies Bloomfield NJ. We have been in this business for over a decade and have no intention to stop any time soon. Thanks to our experienced staff, there is no moving obstacle we cannot overcome. Our new employees learn from the best and most experienced colleagues before they start handling our customers’ possessions. Our movers Bloomfield NJ move families and businesses around the country. This town is located in the northern part of New Jersey. It is Newark’s northwestern suburb. It has a population of 48,539 people. And it offers various amenities and services to its residents. This diverse hub of Essex County is currently witnessing a historic growth in retail, residential and entertainment venues. The median income per capita is $43,850 while the median household income is $77, 234. Most people work in healthcare, education, and retail. It has its own police department and a fire department with 78 professional firefighters and a squad of volunteers. The firefighters are based in four stations out of which they operate 24/7. The residents of Bloomfield love their beautiful, large parks. The first one is Brookdale Park – the third-largest park in the county, which Bloomfield shares with Montclair. The second one is Watsessing Park, shared between Bloomfield and East Orange. It is the county’s fourth-largest park. Bloomfield will provide an excellent education to your children. Students in pre-kindergarten through twelfth grade attend Bloomfield primary and secondary schools. There are eight elementary schools for students from kindergarten through grade 6. Moreover, there are Bloomfield Middle School for grades 7 and 8 and Bloomfield High School for grades 9-12. Additionally, there is Bridges Academy at Forest Glen for students with special needs in grades 7-12. Also, there is the Roman Catholic Saint Thomas the Apostle Parish School, serving grades K-8. Bloomfield Tech High School, one of the Essex County Vocational Technical Schools, provides occupational and academic instruction for students in this county. Bloomfield College is a liberal arts college, located in downtown Bloomfield. It is affiliated with the Presbyterian Church and has around 2,000 students.